The Outstanding Professor Award honors University of Houston-Clear Lake professors who embody the fulfillment of learning and discovery by utilizing innovative teaching methods to inspire students and building a sense of community among students through active involvement with student organizations, shared governance and mentoring. Honorees share a passion for the university, its mission and the potential for change through education. 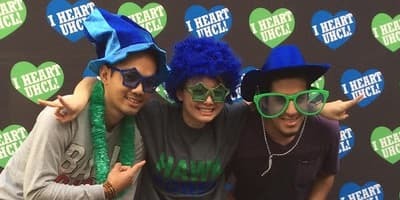 The UHCL Alumni Association has presented the Outstanding Professor Award since 2006. 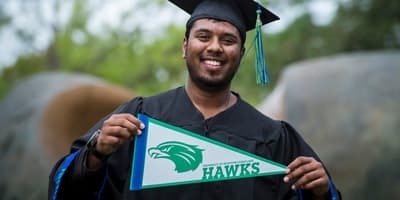 For more information, call 281-283-2021, or email alumni@uhcl.edu. Only graduates and/or recipients of teacher's certificates from UHCL may nominate for this award. 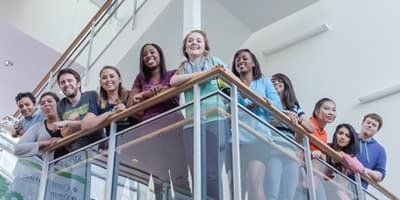 Active involvement with students outside the classroom, such as through student organizations, shared governance and mentoring. Generous commitment of time and spirit to students and the university. Creative, innovative teaching that instructs and inspires students, and who embody the fulfillment of learning and discovery. Sincere involvement in building a sense of community among students. Deeply passionate about the university, its mission and the potential for change through education. Nomination Requirements: Only graduates and/or recipients of teacher’s certificates from UHCL may nominate. Please consider the following requirements when preparing the nomination package. Be currently employed as a professor* at UHCL at the time of the nomination deadline. Have been a professor at UHCL for at least five years. Accept the award in person at the UHCL Alumni Celebration dinner. Not be a current member of the Alumni Association Executive Council. The association shall confer the Outstanding Professor Award on one individual in any one year, at the discretion of the Alumni Association Executive Council. The AAEC reserves the right to not award every year.